Keep on top of new opportunities and prospects with a reliable, mobile CRM tool. TimeTrak is a powerful job management tool, right from initial meeting and quote, through to final invoicing or ongoing support. Our Customer Relationship Management tool allows you to create, store and find details on your clients at the click of a button. 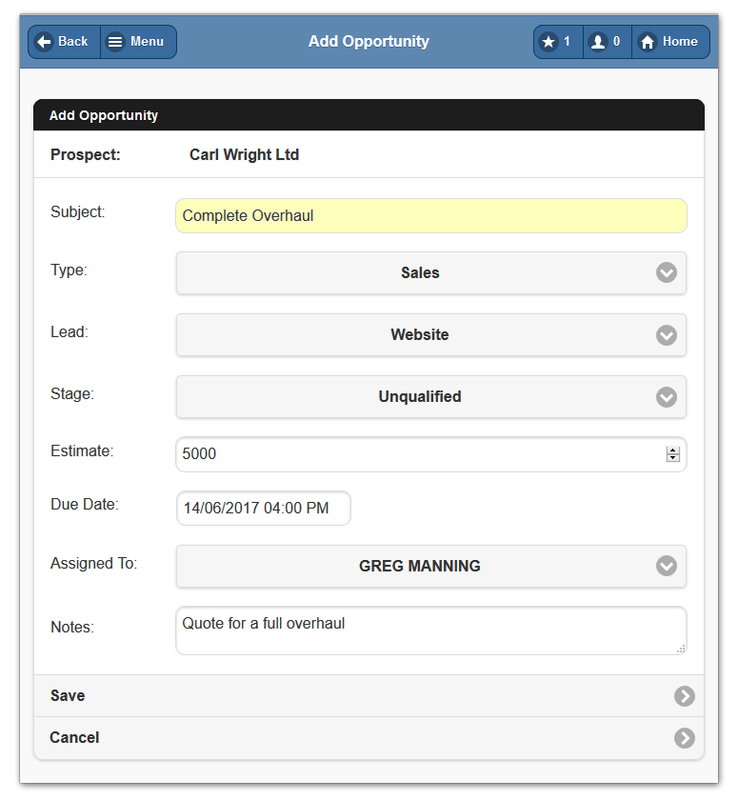 Create prospects or opportunities in TimeTrak Mobile while out in the field, then create an opportunity quote and track activities the whole way through the sales process. TimeTrak's CRM allows you to keep better knowledge of your clients and their activities so that you can provide a higher level of service to their business. Manage your client's tasks, jobs, quotes or invoices from any device with a web connection, allowing you to improve customer satisfaction. Utilising the functionalities of Mobile CRM, your field team can create opportunity quotes on site, right in front of your clients or prospective customers. Simply move through the easy to use system on any mobile device to add materials, labour, assets etc. to produce a quote and send direct to your client's email. With Mobile CRM, your field team enter in all details into their mobile device and once saved, all information stored is immediately made available to the office team - no more double entry or lost pieces of paper to deal with.